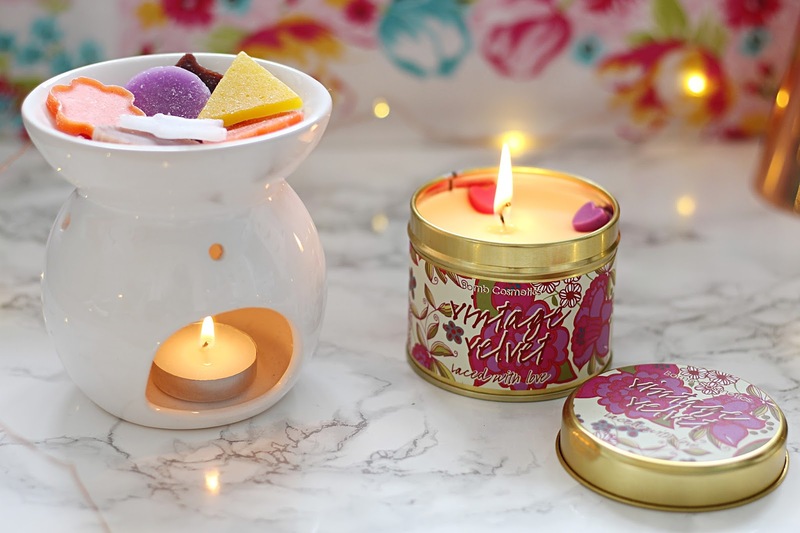 I'm a huge fan of Bomb Cosmetics but bizarrely don't think I've ever tried their candles or wax melts/burners before. I'd been wanting to try the burner and 'Little Hotties' wax melts for ages and wasn't disappointed - you get a little selection of adorably-shaped wax melts in four fragrances, and they have so many different scents to choose from. They all smell incredible and I love that you can combine complementary fragrances together or use them separately. I think they make a fab little gift! They have a huge range of candles too - the tinned candle I tried was Vintage Velvet, a delicious mix of lilac blossoms, white violets, ylang ylang and heliotrope, all wrapped up in velvet musks to create a super luxurious scent. So much love for Bomb Cosmetics. 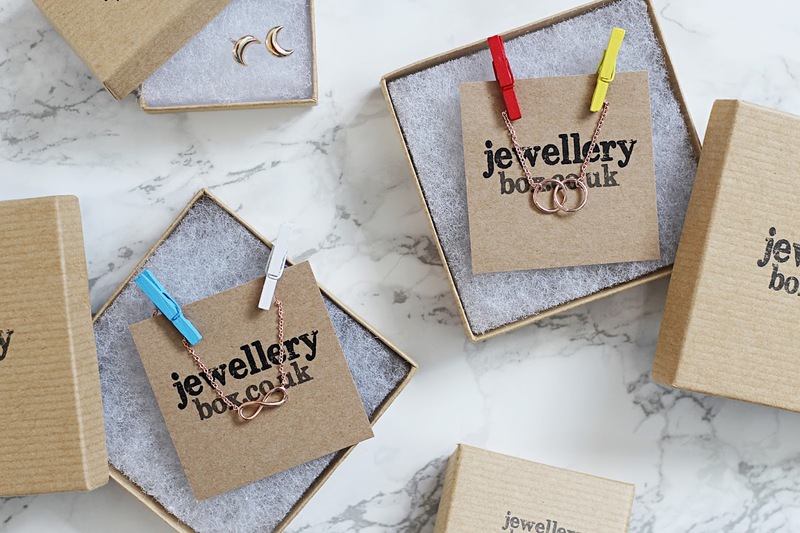 I was recently sent some goodies from JewelleryBox.co.uk, a website I hadn't previously heard of but couldn't stop scrolling through once I was on. They have an amazing range of stunning range of really delicate-yet-beautiful jewellery, with pieces in sterling silver and 9ct gold. I love their range of delicate necklaces, particularly those in a rose gold hue, so couldn't resist getting the rose gold infinity necklace and the interlocking hoop bracelet. I also chose these adorable crescent moon-shaped earrings, as I've been looking for a pair of simple, everyday earrings recently and I thought these were perfect. The best thing about this website? Everything is really affordable. Seriously, you need to go and check it out. 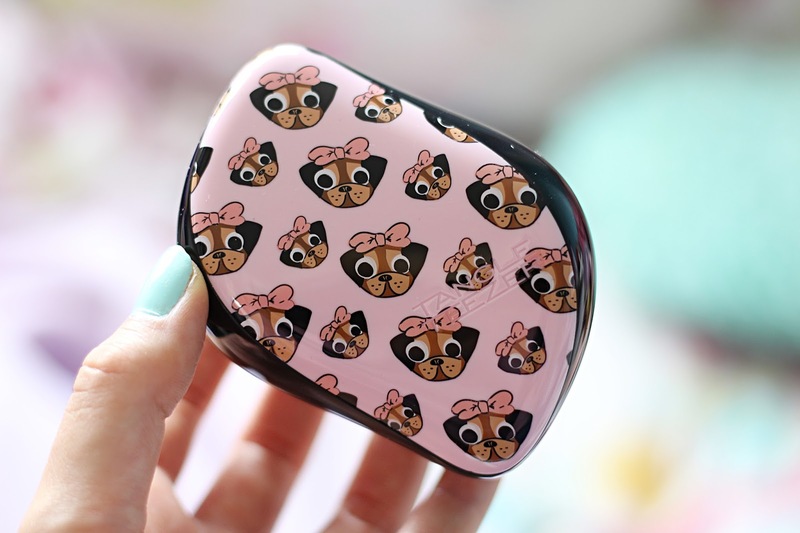 The Tangle Teezer is most definitely one of my favourite, everyday, go-to hair tools, and so when I heard they were adding a super cute pug design to their repertoire, I was there. I'm building up quite a collection of Tangle Teezers (including my beloved Shaun the Sheep-print one), purely because they are so effective at ridding my ridiculously messy hair of knots and tangles whilst being compact enough to just chuck in my handbag. This design is totally my favourite - and definitely a conversation-starter when you pull it out - but who doesn't love a good pug?! I have a love-hate relationship with painting my nails, and especially recently I've found it much more of a chore than a way to pamper myself. I like to slap on my polish before bed and let it dry overnight (I know, a recipe for disaster, and I've woken up many a time with duvet-printed nails) but so many polishes take so long to dry and I find I'll have smudged them before I've even shut my eyes. Once they are painted, I find so many brands of polish chip ridiculously easily on my weaker-than-weak nails, and so lately I've been at a bit of a loss as to how to make nail polish something I get excited about again. That was, until, I discovered the brand All That Jazz. 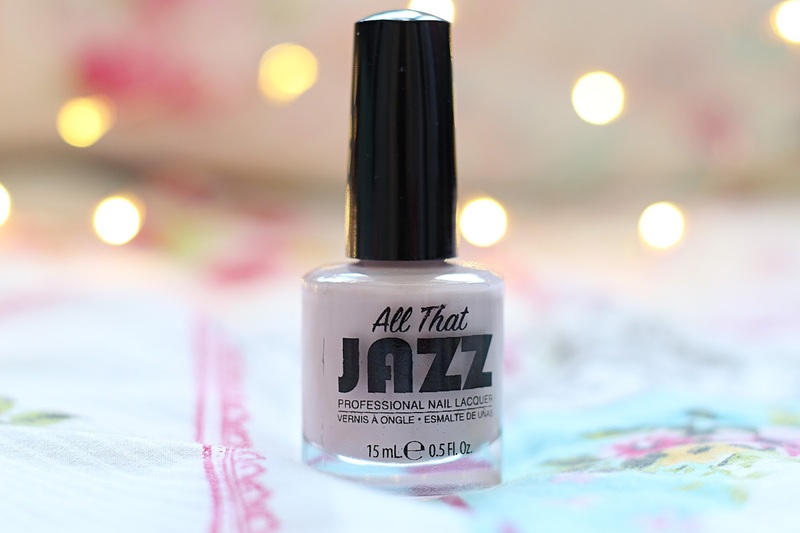 Focused on trend-lead nail polishes, All That Jazz is a brand I'd never heard of until recently, but as soon as I started applying the shade Pixie Whispers (pictured above) I knew it would be the start of something special. This polish applies like a dream, is seriously opaque and leaves your nails looking and feeling glossy and strong. It doesn't chip easily, and although it's not the cheapest polish I've tried at just under a tenner, it is definitely worth it for the quality. I really love this shade in particular too - it's a beautiful muted nudey lilac that I think looks so chic on the nails. We all know colouring books are huge at the minute, and whilst I wasn't initially sure this was a bandwagon I wanted to jump on, I gave in recently because I'm always on the look-out for ways to de-stress, and having grown up loving art and all things creative it kind of made perfect sense. 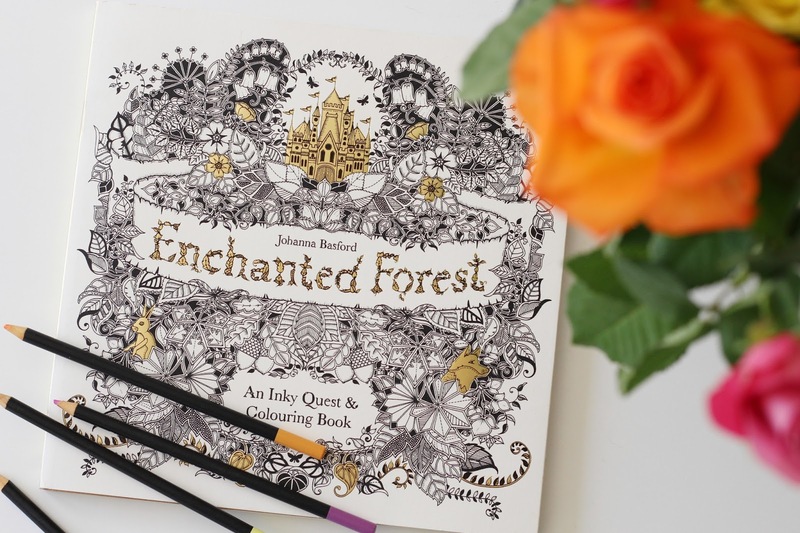 I picked up the Enchanted Forest colouring book by Johanna Basford and I absolutely love it - it's such a beautiful collection of illustrations, and it's not just about colouring either - there are lots of hidden symbols to find throughout too. I know this probably won't be everyone's cup of tea, but if you're looking for something to help you relax before bed or if you just fancy seeing what the fuss is all about I definitely recommend checking out this book. Finally, I recently received a couple of pretty bits from Joy the Store - a shop I absolutely love but for some reason always seem to forget about! I got this gorgeous rose gold 'LOVE' bangle, which reminds me of bracelets and bangles you see with motivational messages on them, just without the hefty price tag. I've been wearing it constantly since I got it and absolutely love it. 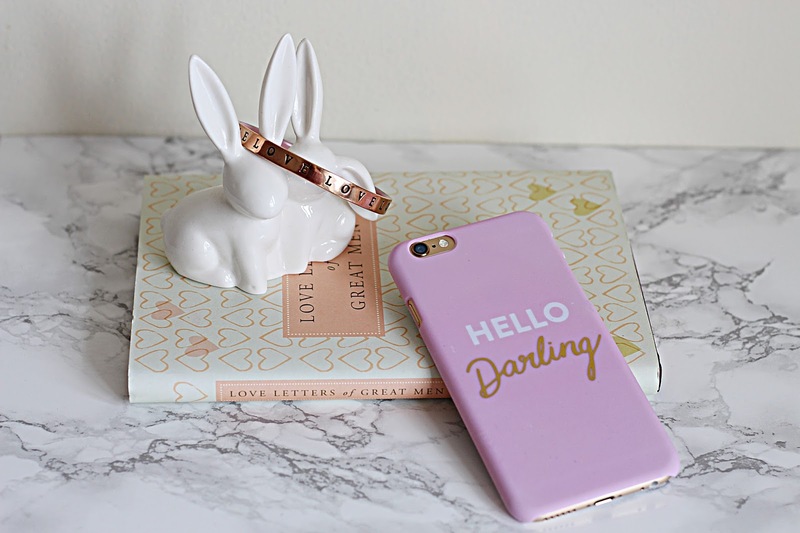 I also got this adorable 'Hello darling' phone case, which I've received SO many compliments on. In a super sweet baby pink hue, it has a very Kate Spade-esque design with a white 'Hello' and metallic gold 'Darling' written across it. I love how simple yet pretty it is, and it feels great quality too. What little things are you loving right now? Let me know!